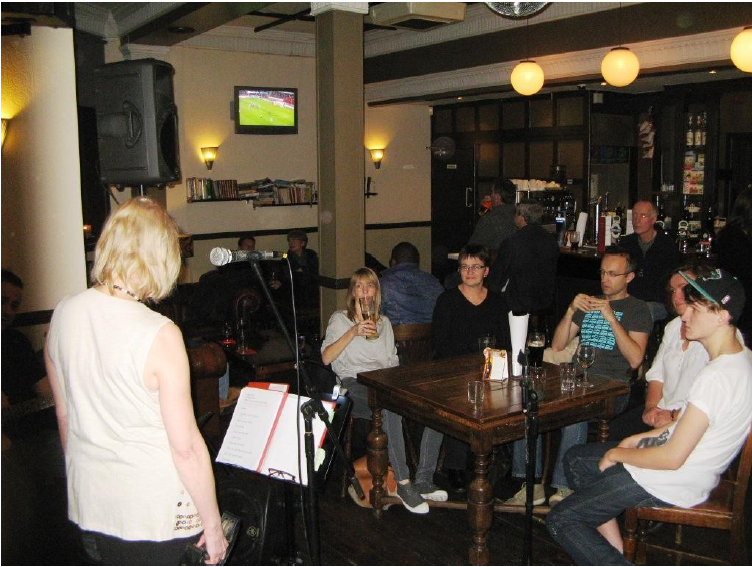 In the last newsletter we showcased the acoustic night on a Monday night at the Foresters/All Inn One. This time it was electric when our very own Jake brought his band, Jonah‘s Raft, to the venue for our regular series of events on the 23rd of the month. We had a great turn out and picked up a few new members while we were at it. Thanks to Lindsay, Andy and Vitor on guitars, Jake on cello and Christophe on cajon and percussion.